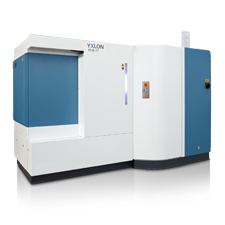 YXLON offers a broad range of cutting-edge X-ray and CT products designed to support all your industrial inspection needs. We develop specialized systems for use in areas such as aerospace, automotive, electronics, metrology applications and many more. 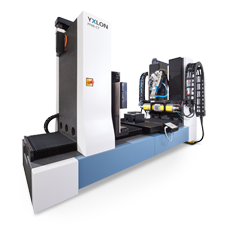 Whether your component is measured in micrometers or meters, there’s an YXLON system that fits. Stringent design and production standards result in system durability that withstands the rigors of high volume use. 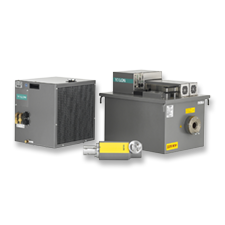 Many of our systems can be integrated right into your production line, saving you time, assuring component quality and improving production processes. YXLON systems meet industry technical standards including ASTM and DICONDE. YXLON roots go back to the discovery of X-rays by W.C. Röntgen in 1895 and the first X-ray tube constructed by C.H.F. Müller in 1896. Today, our systems can be found around the world, supported by a strong global service network and an in-house tube production facility. For your industrial inspection requirements, contact us at any of our eight global locations or through our worldwide network of sales representatives.